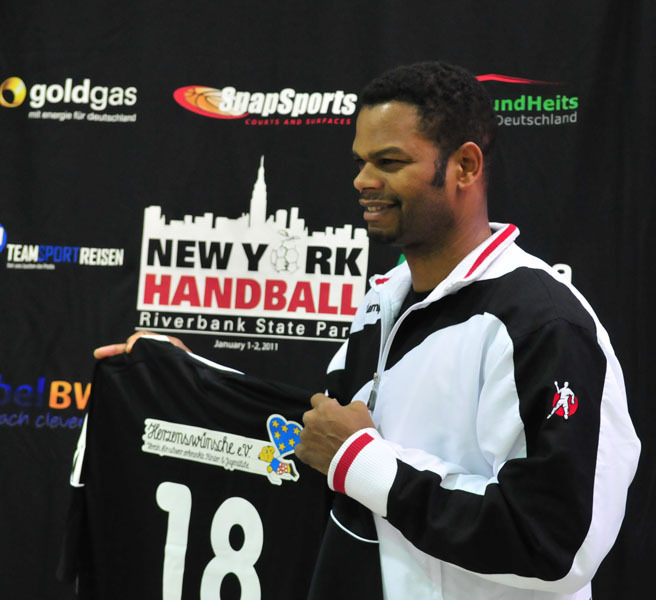 This upcoming December 31 – January 1, 2012 New York City Team Handball Club is organizing its 3rd Annual international team handball tournament “The Big Apple”. 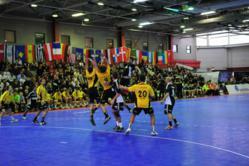 It is by far the largest gathering in US of some of the best handball players and coaches of the world outside Europe. The highlight of the event is the All-Star game between the World All-Stars vs. Bundesliga All-Stars. Since it's inception in 2010 we are proud of what we have achieved. In it's third year Big Apple has generated tremendous interest worldwide. New York City's "Big Apple" event is an annual international team handball tournament consisting of six teams assembled from a selection of participating players from different leagues in Germany, and with New York City Team Handball Club representing NYC diverse cultural heritages. This year’s competition will again take place at Riverbank State Park in NYC, December 31, 2011 – January 1, 2012. Riverbank State Park is the only park of its kind in the Western Hemisphere. Inspired by urban rooftop designs in Japan, this 28-acre multi-level landscaped recreational facility is a state-of-the-art park facility. The highlight of the event is the All-Star game between the World All-Stars and Germany All-Stars. It is the biggest gathering in US of some of the best players and coaches of the world and it's an opportunity for New York City sports fans to have a glimpse of the second most popular team sport in Europe right in their doorstep. "Since it's inception in 2010 we are proud of what we have achieved. In it's third year Big Apple has generated tremendous interest worldwide. Our goals and aspirations are to constantly improve the event, and one day organize the Big Apple at Madison Square Garden, and ESPN broadcasting the game live here in US", said Shkumbin Mustafa, president of New York City Team Handball Club. This year the game will broadcast live on Sport 1. "The media interest in Europe is huge, and our partnership with Sport 1 will allow us to promote the Big Apple tournament through other channels. It's definitely going to be another memorable New Years Eve celebration for all people involved", said Christopher Monz from Teamsportreisen. 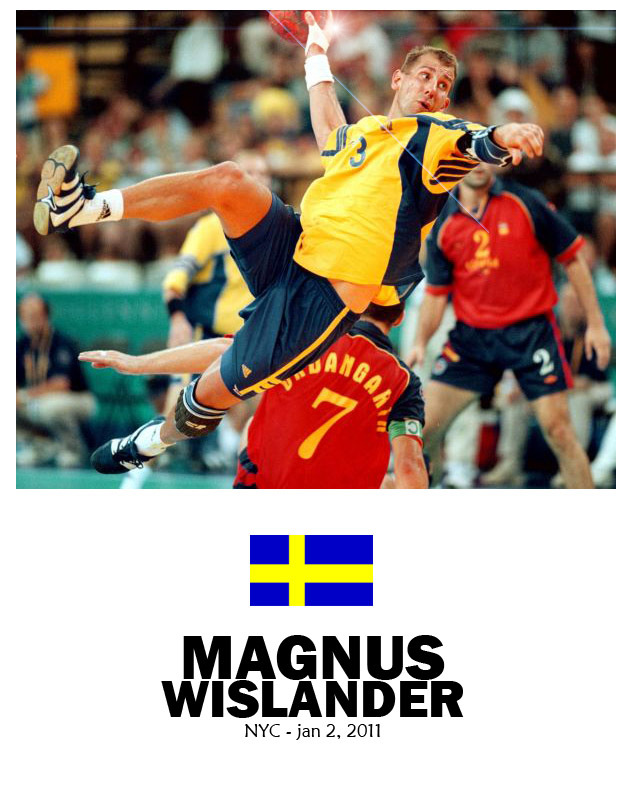 The Big Apple international tournament is a joint collaboration between Teamsportreisen, and New York City Team Handball Club. It's a unique opportunity for people from all over the world to play handball, celebrate New Year's Eve and enjoy everything the greatest city in the world has to offer. "Having players like Wislander, Richardson, Lovgren, Masip, Vranjes, Fritz, Djomba, Svenson, Sprem who have won Olympic, World and European Championships gold medals come to New York City to play handball and celebrate New Years Eve is a big deal for the sport in general. These guys resemble the US basketball Dream Team from 1996 Olympics - dominant throughout their careers, and true athletes that love the sport, who continue to help our mission in building awareness and promoting the game of team handball here in New York and US", continued Shkumbin Mustafa. Last years winner of the Big Apple 2011 was Team Goldgas, coached by one of the greatest goalkeepers of all times Henning Fritz. They beat New York City Team Handball Club. New York City Team Handball Club is a not-for-profit 501 (c) 3 charitable organization. It's mission is to promote, teach, organize, and introduce the Olympic sport of team handball to all people and to develop their character through team handball, emphasizing the ideals of fairplay, cooperation, responsibility and respect. TR Travel Team is a travel agency and an international tour and travel partner for many of the biggest handball, soccer, and basketball clubs in Europe.